HIKING SLOWLY UP the steep gravel path to the top of Smith Rock, Oregon, I remembered the lesson I had learned just two days before while climbing Mount St. Helens volcano in Washington State. I was worried there, too, about being able to make it to the top. I’m not in the best of shape right now, and overcoming some minor health issues. On Mount St. Helens, one of our guides, Mountain Steward Ron Benton, taught me the resting step. It’s a step that mountain climbers use. You allow your front leg to bend, and take most of your weight onto your back leg for a second. Then you step forward with your back leg and rest it, slightly bent, for a second, with the weight on your back leg. 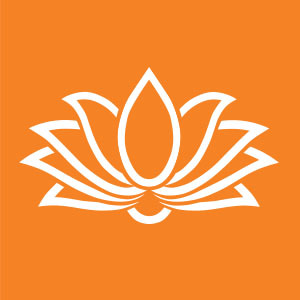 I admit, it takes Zen-like patience to walk this way, but once you get your groove — and coordinating it with yogic breathing really helps — it works like a charm. It takes less energy and conserves your strength for long, tough climbs. If you do it right, you never lose your breath. This is the step I used to hike along Misery Ridge (yes, it really is called Misery Ridge!) to the top of Smith Rock in Oregon with my Corning Gorilla Glass 4 team while we were on our “Tough Drops Tour.” We certainly were in “tough drop” territory on Smith Rock. The Tough Drops Tour was sponsored by Corning Incorporated to test the Gorilla Glass 4 on the Samsung Galaxy S6 on a customized itinerary through the Pacific Northwest of the United States. Along with travel bloggers JD Andrews of EarthXplorer, Beth Santos of Wanderful and Teri Johnson of Travelista Teri, I hiked mountains, climbed rocks, explored caves and stood in awe at the beauty of nature. 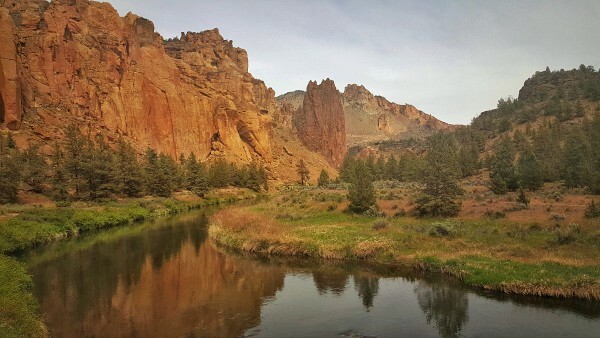 Smith Rock is the birthplace of sport climbing. More than 500,000 climbers visit Smith Rock each year to scale the vertical climbs. 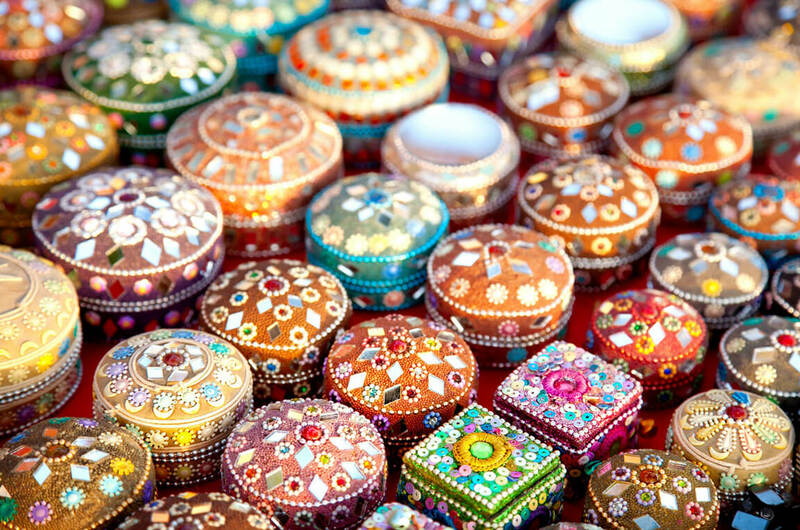 These are hard, unforgiving — and very beautiful surfaces. The towers rise like cathedrals from the desert floor. There are several thousand climbs in Smith Rock Park. More than a thousand are bolted routes. 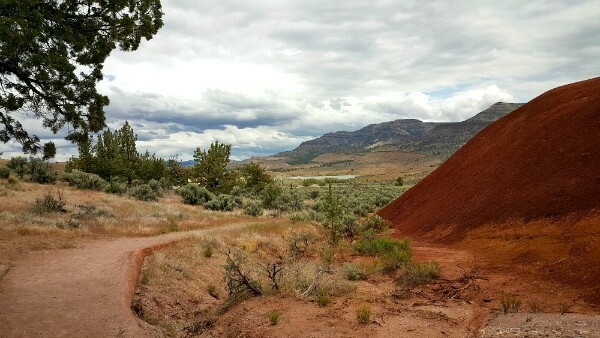 There are also miles of hiking and mountain biking trails. 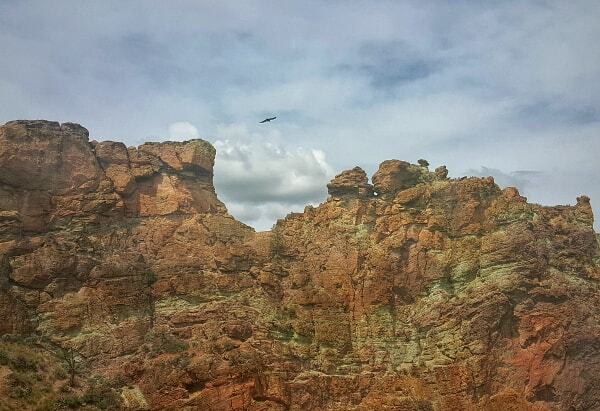 Along your trip through the canyon, you might see golden eagles, prairie falcons, mule deer, river otter and beaver. I was proud of myself for making it to the top of Smith Rock on the hiking trail. I can’t even imagine climbing up. 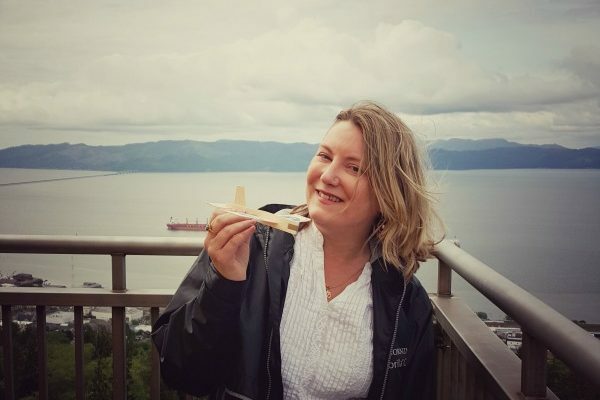 We stood on the summit to survey the sweeping view of the Cascade Mountains in the distance and watched in awe as Peregrine Falcons swooped and dived together in pairs, above us. And we were just as awestruck by the climbers — especially the acrobats dangling 350 feet above the ground on Monkey Face! Monkey Face is one of the toughest free routes in the world, called Just Do It (rated 5.14c). 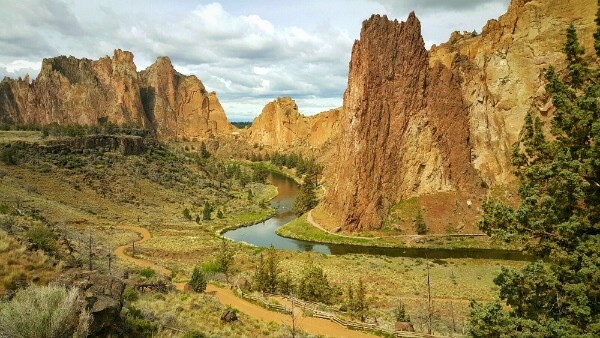 Smith Rock is one of the Seven Wonders of Oregon and well worth visiting even if you’re not a climber. 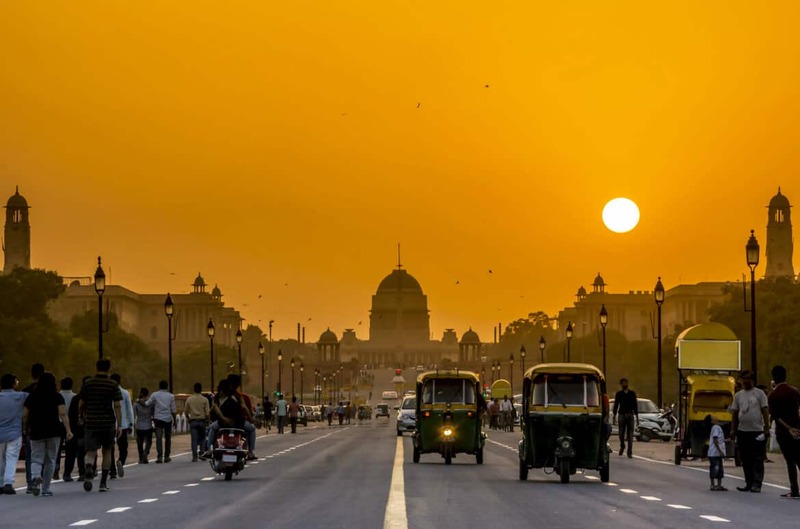 There are plenty of hiking trails, camping options, horseback riding … and a nearby town is called Madras, to make visitors from India feel at home! We turned off the highway at an unremarkable place in eastern Oregon. Along a secondary road we drove, for only a short time, before the first one came into view. It rose organically up from the desert-like earth, eternity crystallized in time. Smooth, shorn of all foliage and other distractions, our first Painted Hill was streaked with colour — pale red, ochre yellow, tawny brown — like a seventies ashtray turned upside down. 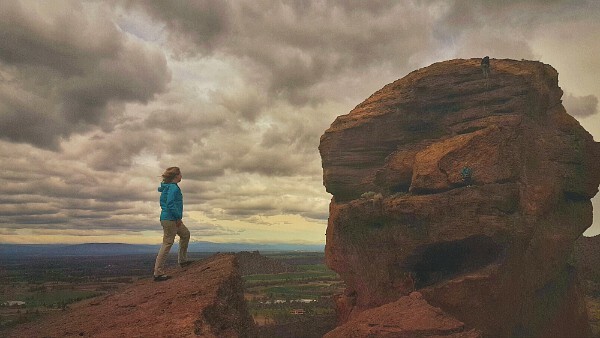 It was a surreal moment to see Oregon become a living painting. Not just the delicately hued claystone hills, but the entire area is awash in gentle colours: pale mauve flowers, carpets of moss green, golden grasses. 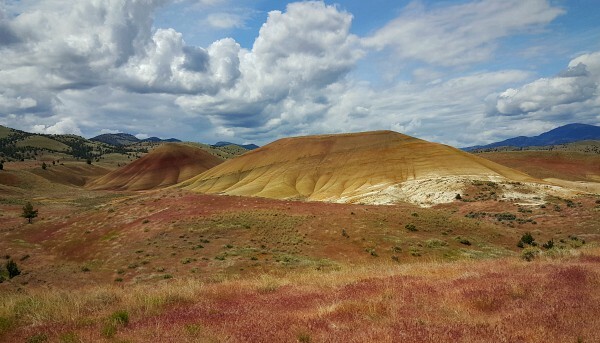 The Painted Hills are one of the Seven Wonders of Oregon, and they are indeed a wondrous sight to behold. These rolling hills are captures of time, millions of years of history preserved in living colour. Interpretive signboards explain how the various colour layers came to be preserved. 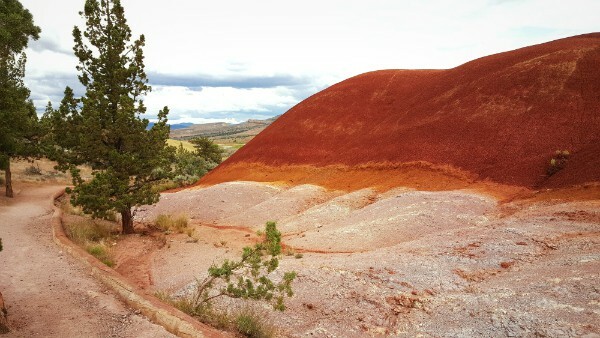 The colours of the Painted Hills constantly change. 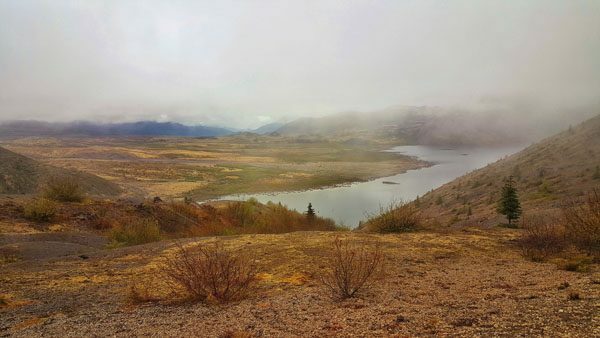 After light rains, the hills darken greatly from their normal colour. Add sunlight, time of day, cloud shadows, and the colours of the hills change constantly. 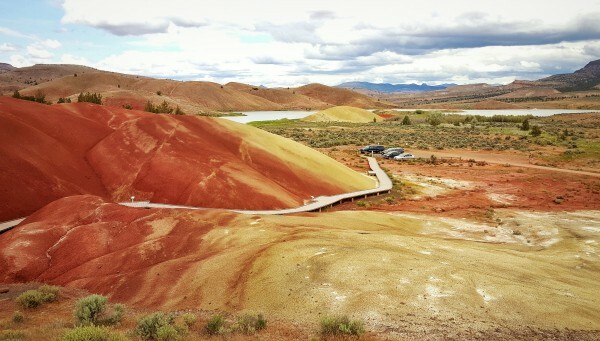 The Painted Hills really do look like this! 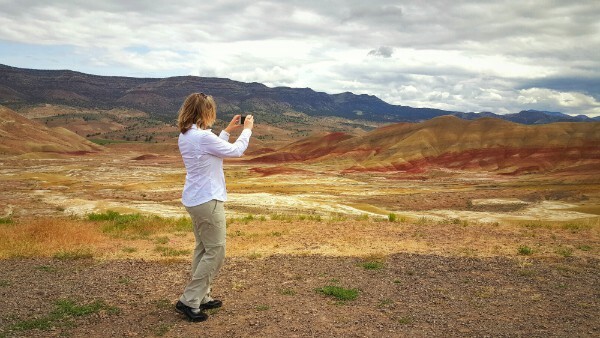 The Painted Hills are one of three units that comprise the John Day Fossil Beds National Monument, an area of about 3,000 acres. When you’re in the middle, they spread gracefully out in every direction, as far as the eye can see. 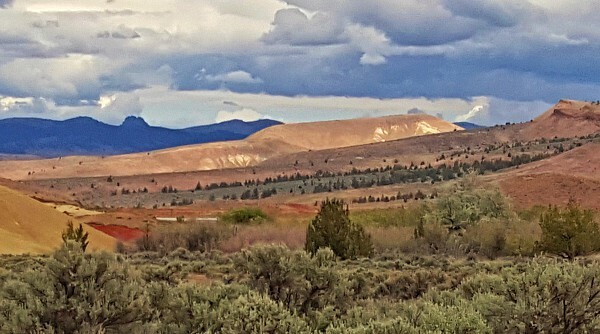 The John Day Fossil Beds represent a record of time spanning most of the Age of Mammals, from 54 to 6 million years ago. 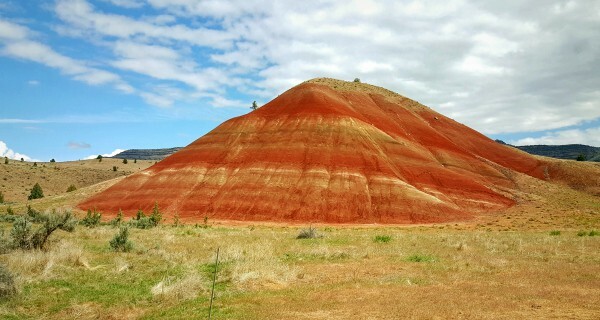 The red hill before you is about 33 million years old. The Painted Hills are carefully maintained and protected, and you’re not allowed to walk on them — rightly so. However, the park has set up viewing stations and a wonderfully constructed boardwalk through a crop of startlingly red hills. Small, unobtrusive signboards are positioned to offer information about the view. 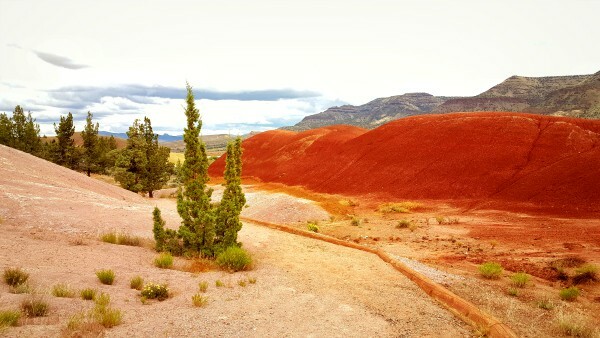 Here’s a taste of what you will experience if you walk through the Painted Hills. The red bands, formed in a warmer wetter climate, are more frequent near the bottom of the hills. Over time, these increasingly give way to yellow soils that formed in drier times. Look back along the trail. Differences in weathering and mineral content of the hills, the blue lake, and the varied greens of plants produce a striking show of colour. It’s like walking on the giant palette of a painter. The trail is like a border between worlds. The earth behind you was formed about 40 million years ago, in a warm world of near-tropical, jungle-like forests. Before you, the colourful reds and golds of the hills represent a world with seasonality, 33 million years ago. Of all the wonders of Oregon I experienced on the Tough Drops Tour, the Painted Hills was one of my favourites. Not only did I love the beauty of the region — and trying to capture all the colours on my Samsung Galaxy S6 phone — I also loved the serenity. 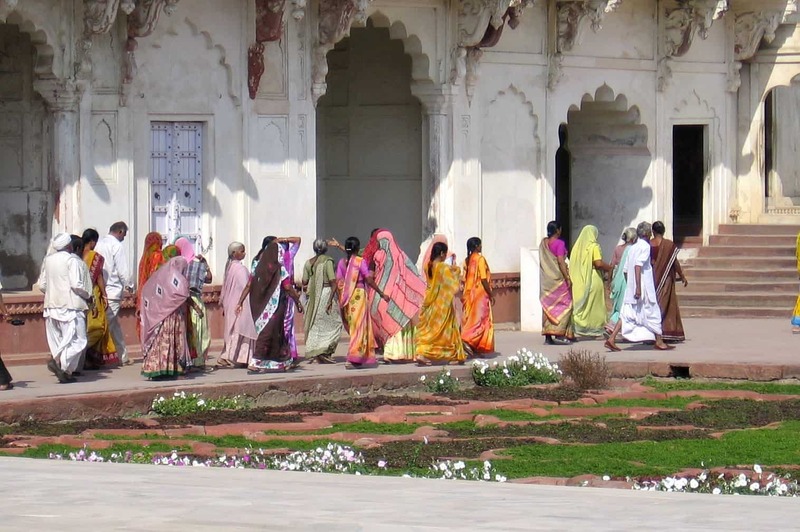 A photo can evoke a sense of place, but not always the extent of the feeling or atmosphere. I felt a very deep sense of peace, calm and timelessness at the Painted Hills, and I really didn’t want to leave. However, adventure beckoned and on we went. Thanks to Corning Incorporated for giving me the opportunity to experience several of the Seven Wonders of Oregon and have fun capturing them on the Samsung Galaxy S6 phone with Corning Gorilla Glass 4. You have the chance to win either a Samsung Galaxy S6 or a $1,000 Travel card, click here for details. 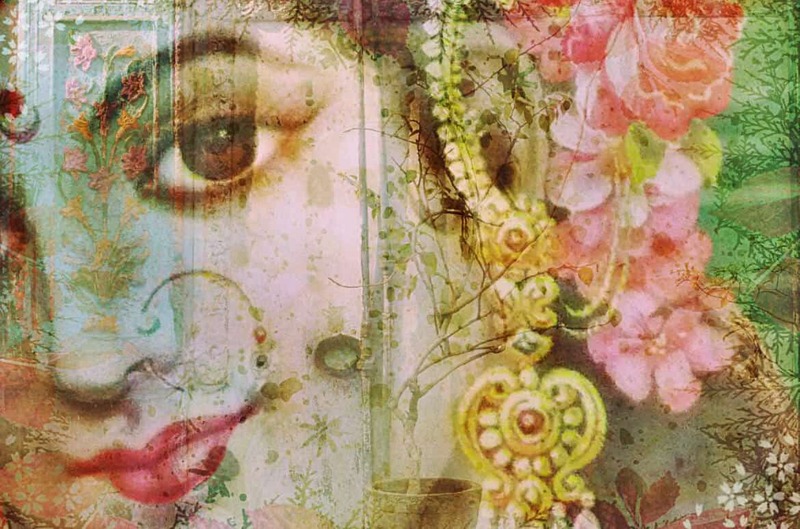 Contest closes on June 28, 2015.